Who said Buffalo has to wait until Sunday to party in honor of St. Patrick’s Day? 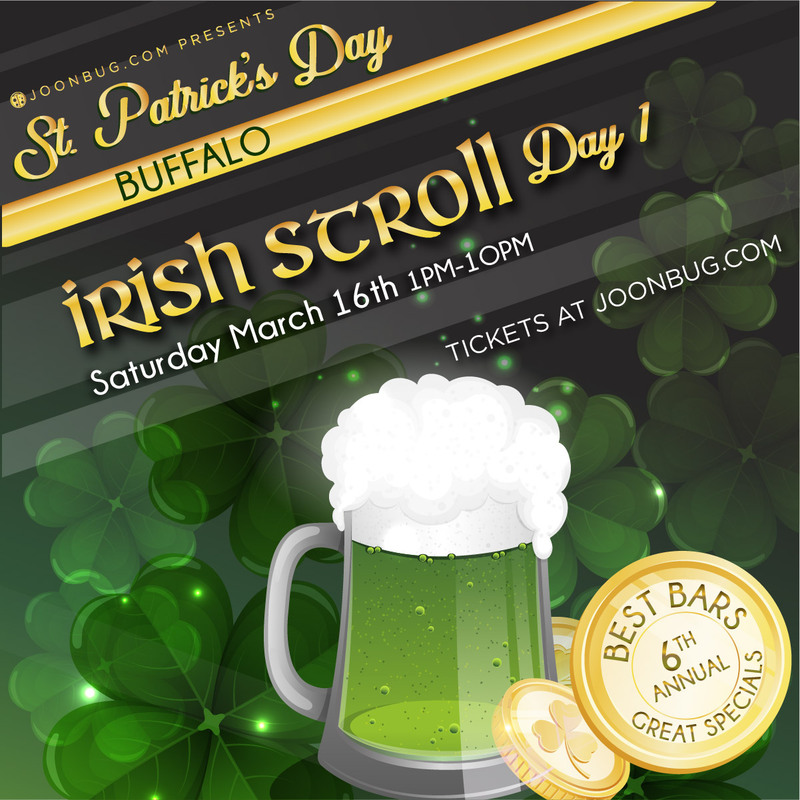 We’re celebrating early this year with the legendary Irish Stroll bar crawl on Saturday March 16th. One by one Buffalo’s most popular hotspots will open their doors to celebrate a weekend of green – with no cover charge. With chilly pints and jolly company, your crew can hop about town and indulge in good old-fashioned shamrock shenanigans. The Irish stroll is part of three days of epic St. Patty’s Day events. We’re getting ready to paint Buffalo green this St. Patrick’s Day weekend.